Wood is a one of a kind material that features an elegant, highly sophisticated look and feel. If you are trying to create a rich and dignified atmosphere in your living room, real wood is one of the elements that can help you with this task. Plus, it really does not matter which particular type of wood you choose – all of them look fantastic. Wooden furniture still preserves its leading positions in the furniture market, which is why you will have plenty of types and shades to choose from. If you like light hues, think of oak or pine. For something a bit more yellow, consider ash. If you like light brown, walnut is the perfect choice for you. There are hundreds of different real wood living room furniture models in stores – anything form vintage furniture to contemporary one can be easily found in online and on site stores – you just have to define what you are looking for. Real wood living room furniture is characterized by strong build and durable construction. If you are looking for an interior solution that will not require replacement any time soon, genuine wood is a perfect material for you. Unlike any other artificial materials, it has the capacity to serve you for years. 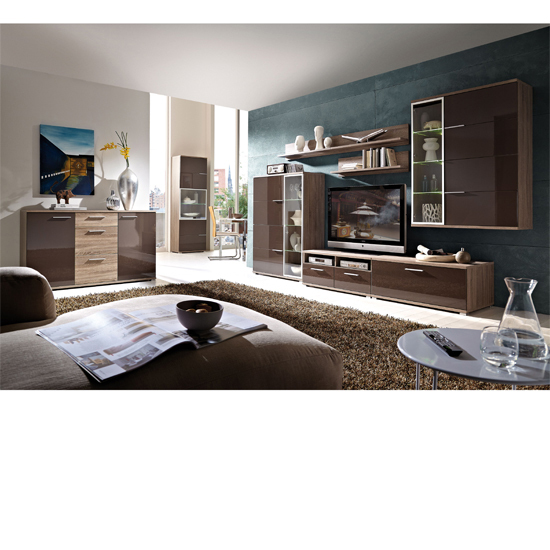 Apart from long product life, real wood living room furniture is characterized by timeless design. Sure, interior design trends tend to change over the time, but wood always remains relevant. Another important benefit is that wood can be combined with any interior palette and any other furniture material – glass, leather, steel, etc. This is one of the best, the most neutral, and – definitely – the easiest ways to decorate a living room. If you are looking for a store that can offer you plenty of real wood living room furniture to choose from, take a look at Furniture in Fashion . This is one of the most respectable UK e-commerce platforms, offering a huge selection of modern and traditional furniture solutions for your home. The company also has a showroom in Farnworth, and it is possible to personally examine 99% of the items listed on their website. Yet, given that the store works with the finest furniture manufacturers across the entire globe, the trip is not necessary – you can stay assured in the best quality of all distributed items.